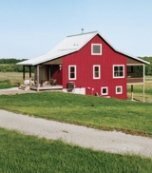 Tiny Houses for Farm Style Retreats! 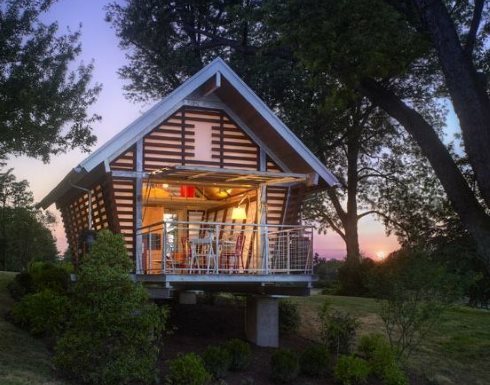 The tiny houses featured here will have you longing for the serenity of a simpler life. 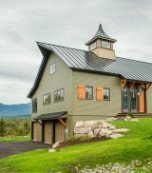 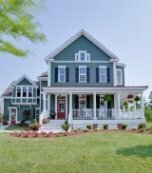 Nestled in tranquil country settings, the farm-inspired designs feature gable roofs and lean-tos. 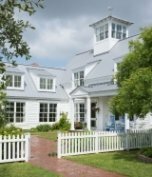 Clapboards, boards and battens frame multi-pane windows and doors. 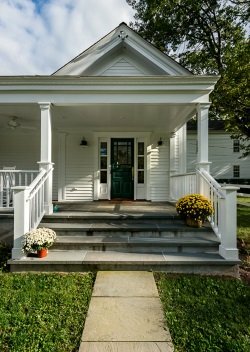 Porch posts, picket fences and garden gates add layers of frosting to form delightful architectural confections! 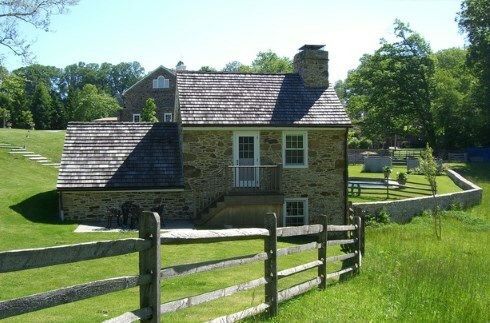 The aptly named "Doll House" (below) embodies the very image described above. 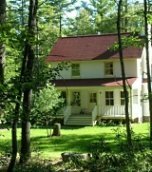 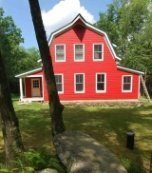 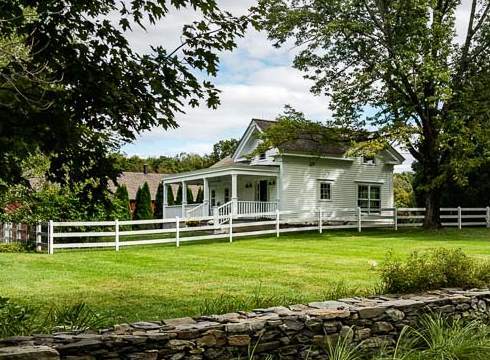 Located in Plymouth, New Hampshire, the restored 1920 farmhouse includes a fully equipped kitchen, living room, two bedrooms and a bath in under 700 square feet of living space. 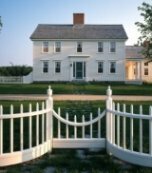 A charming picket fence borders lovely gardens on the property. 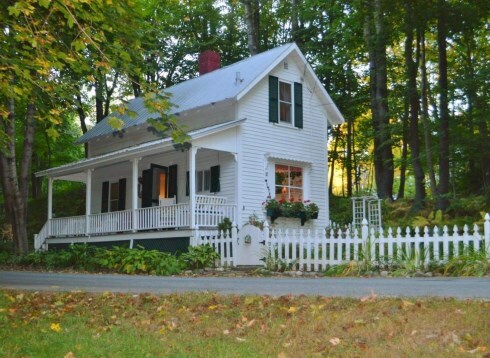 The "Doll House" is currently available as a vacation rental. 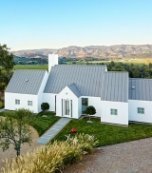 Please visit Airbnb for more information. 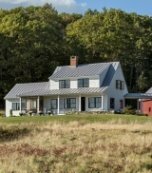 A new "micro home" in Connecticut echoes the Greek Revival style and detailing of an adjacent 19th century farmhouse. 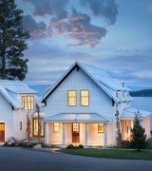 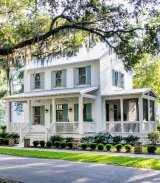 Designed by Crisp Architects, the 650 square foot dwelling fea- tures a gracious front porch with an additional 350 square feet. 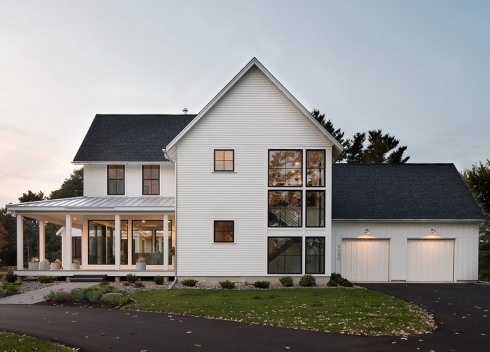 According to architect James Crisp, the full time residence "lives big on a small footprint." 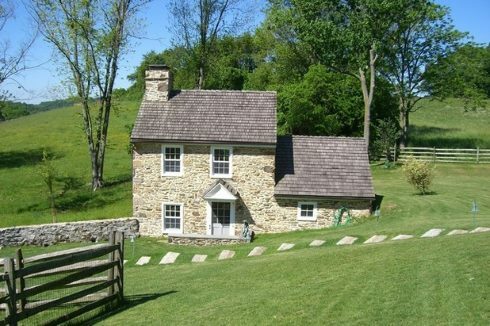 Below: Perspective view of "micro home"
a farm cottage with attached spring house on the right -- a precursor to today's refrigerator -- the 900 square foot structure now serves as a pool house, home office and guest house. 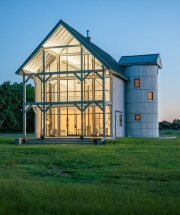 Inspired by farm outbuilding architecture of yesteryear, the tiny homes that follow include present-day interpretations of a barn and a corn crib designed for human habitation. 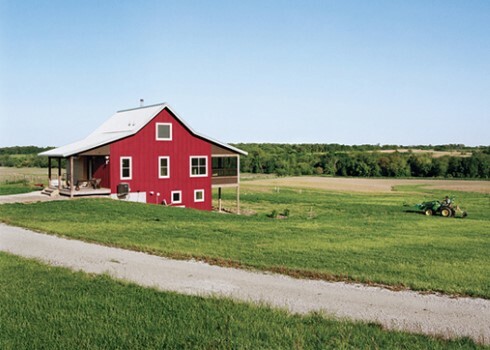 "Yum Yum Farm" (below) in Wellman, Iowa features a barn style dwelling with 950 square feet of living area. 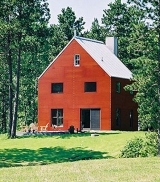 A collaborative effort by the homeowners and Seattle-based DeForest Architects, the house was built in 2007.
feet. 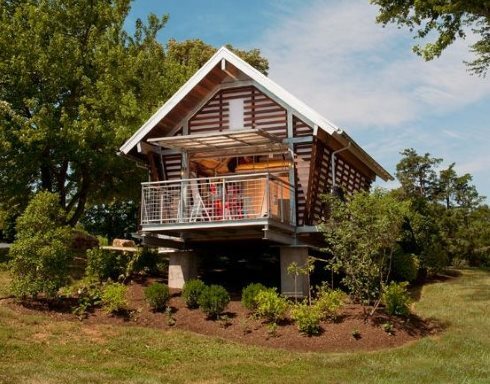 Learn more about "The Crib" here. 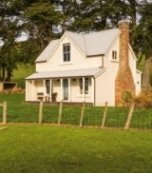 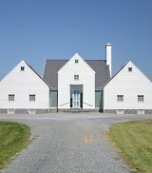 Please check back often or subscribe to our RSS feed, as we frequently add tiny farmhouse designs to our site. 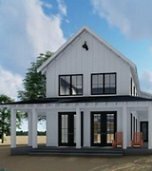 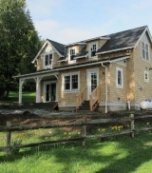 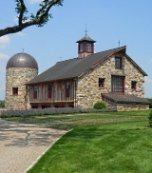 Exciting farmhouse designs, ideas and plans to help you create a farm or barn home haven of your own! 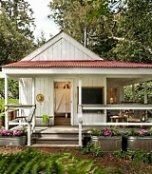 Home Decor Interior Designs...Modern Take on Traditional Theme! 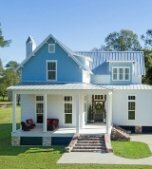 Home decor interior designs for a new farmhouse infused with a distinctively vibrant, contemporary flair! 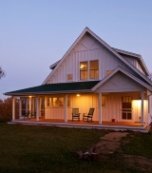 Farmhouse Inspired Home Design...Warm Wood Accents and Soothing Colors! 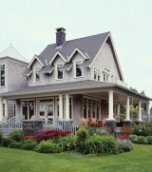 In farmhouse inspired home design, warm wood accents from Everitt & Schilling Tile add richness and texture to any room! 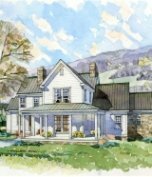 Farmhouse Inspired Home Design -- Warm Wood Accents & Soothing Colors! 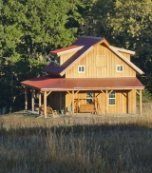 for Farm & Barn Cottages!